Having successfully configured the web portal to use SSL and a certificate issued by my internal CA infrastructure I thought I was home and dry with this product. 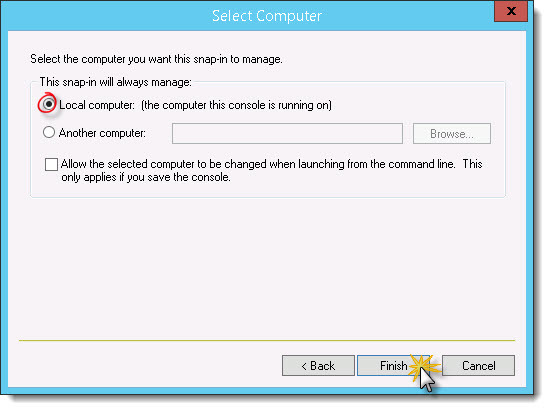 The very next issue was getting the RDP gateway working. 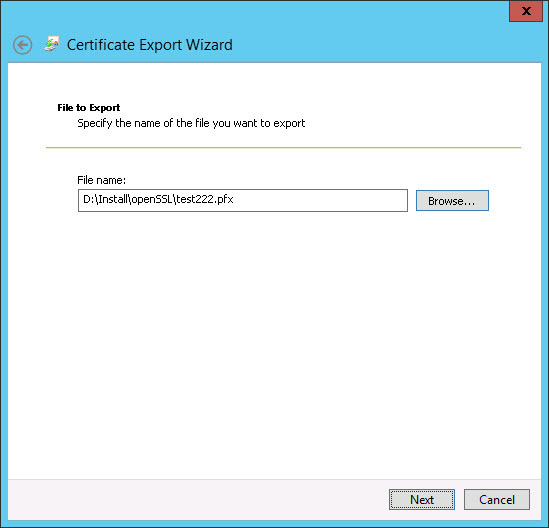 PMP uses a web portal sitting on port 7273 to provide an RDP and SSH client to the PMP user. It’s a great idea but when I tried to use it the tab was closed immediately. I say immediately what happens is you get a popup message box asking if it’s OK to shut the tab. It doesn’t matter what you click it won’t work. On the password tab there is a hyperlink “Trouble Shoot Auto Logon Issues” click this and another browser ( with no URL bar ) opens and displays a certificate error. 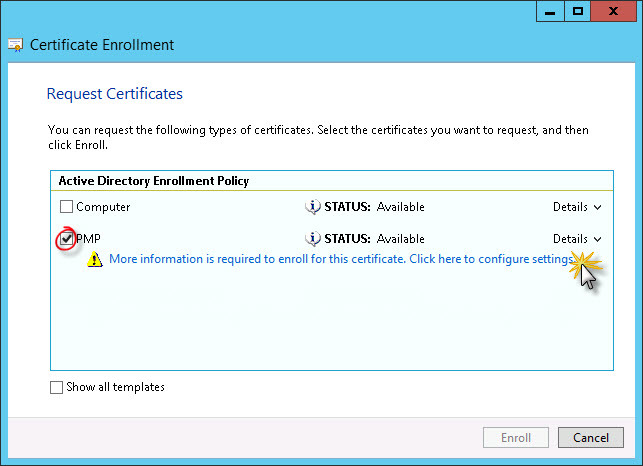 Unfortunately you can;’t view the cert and the error doesn’t really tell you what the problem is. 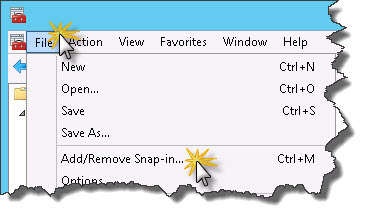 THATS USEFUL MICROSOFT! I used Chrome and that allowed me to see the certificate. BOOM! it’s self signed and that’s why it’s not working. 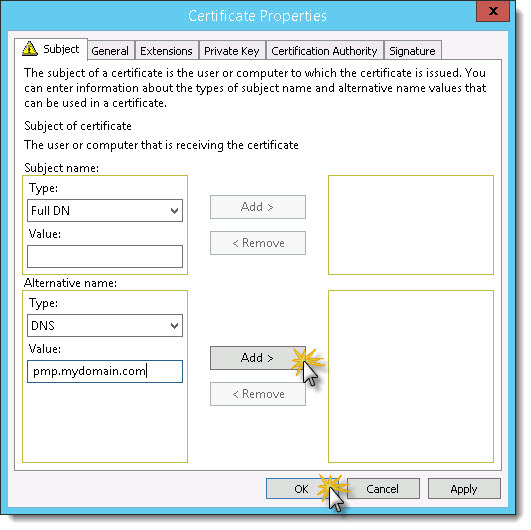 So why oh why doesn’t ManageEngine tell you how to configure the RDP gateway to use the same certificate as the web portal? The fix ( provided by ManagedEngine by the way ) is to edit the wrapper.conf file in the <PMP Install Directory>conf folder. 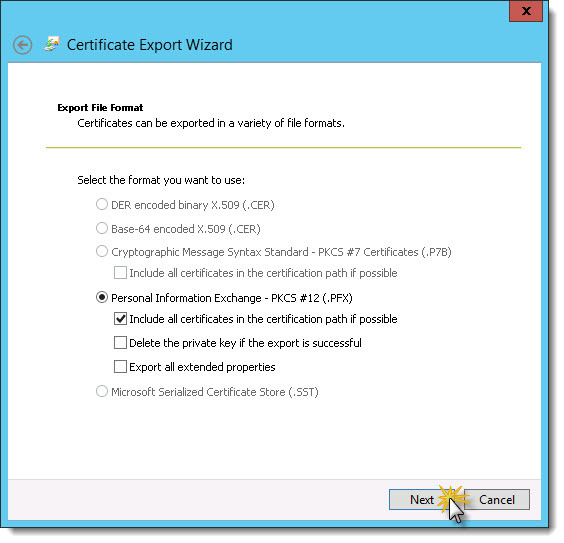 (Make a copy first in case you mess this up of course) You need to locate the following elements and change them to reflect the certificate. wrapper.java.additional.21=-Djavax.net.ssl.keyStore=../conf/server.keystore change server.keystore to your .pfx file created in my other post. wrapper.java.additional.22=-Djavax.net.ssl.keyStorePassword=passtrix and change passtrix to the password you used to secure the private key in the .pfx file. Restart PMP and it should all start working. MAGIC! The PasswordManagerPro web site lists the following FAQ on how to setup an SSL certificate that is signed by a trusted Certificate Authority. However this discusses the use of either KeyTool or OpenSSL, neither of which are installed on a windows server and the article does not discuss the use of a Microsoft CA which surely is a very common deployment scenario? I worked on this for quite a while getting quite frustrated with the poor instructions provided in the FAQ. Once solved, the solution is amazingly easy and I thought it worth blogging about it. 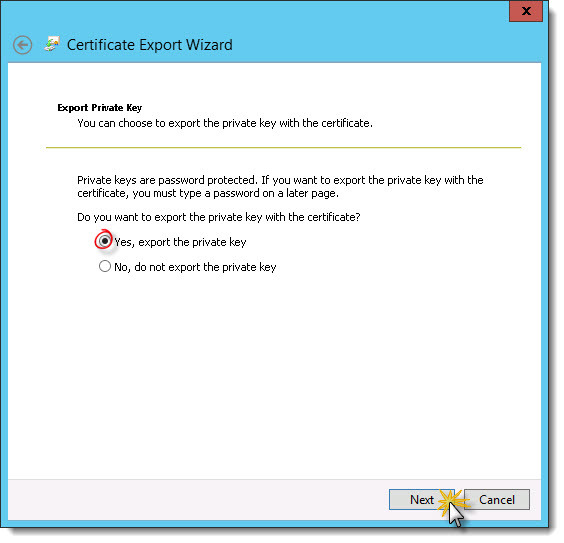 Step 1: Create a certificate template that allows you to export the private key. 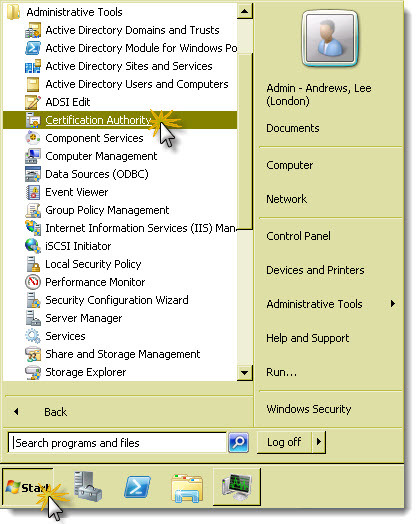 Duplicate template , web server certificate as a Windows Server 2008 Enterprise template and give the template a new Name, I called mine PMP in my test lab. 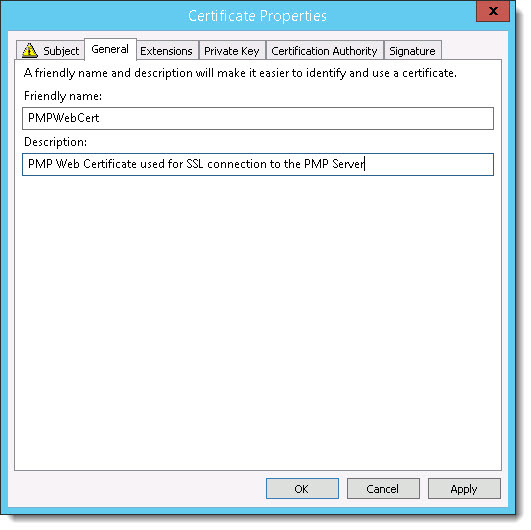 Step 2: Issue the certificate to the PMP server. 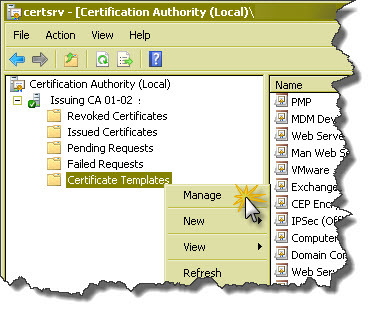 Add the certificates template to the MMC and target the computer account. 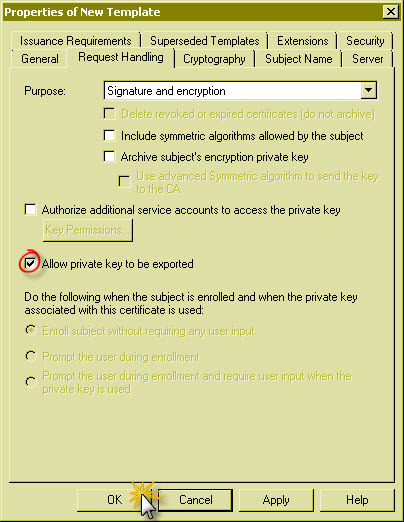 Click next on the welcome screen and select the “Yes, export the private key” radio button and click Next. Check the “Password” box and enter a password – this password will be used when configuring the PMP web service so make sure you record this securely. 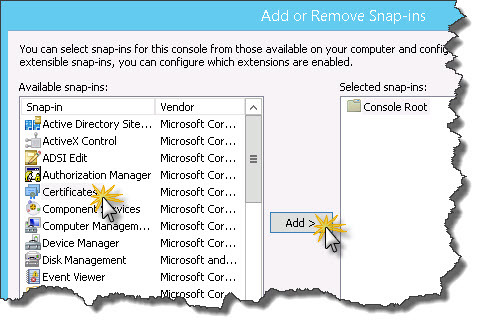 We can even store a copy of this key in the PMP configuration of course. 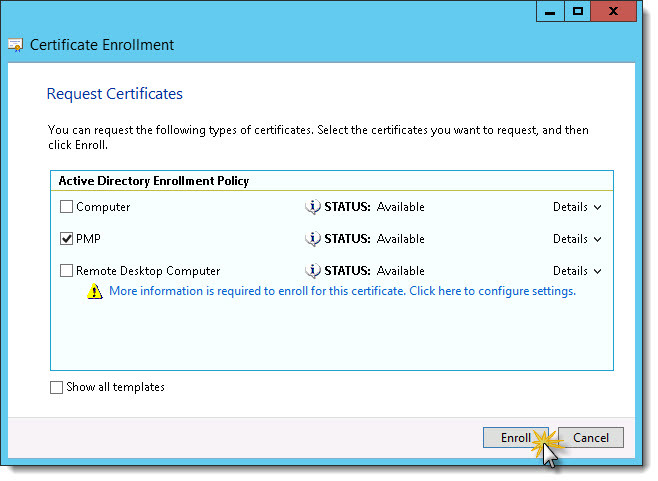 Step 4: Configure PMP to use the new certificate. 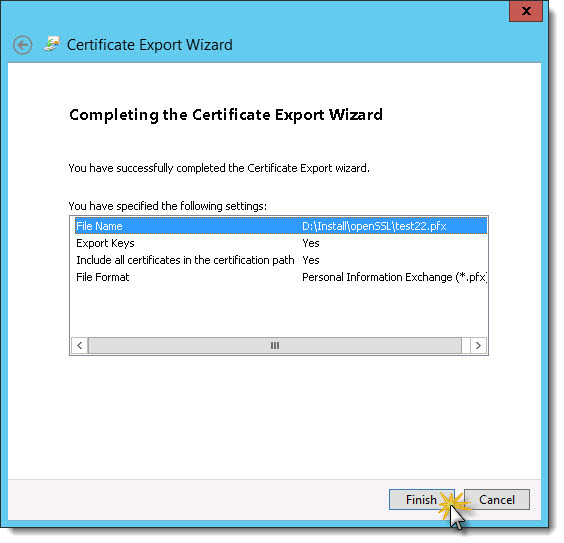 Change it to use the certificate you exported in step 2. 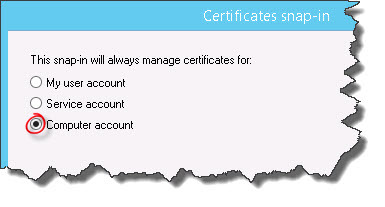 If you followed the procedure correctly then the server will start and when you connect, using the DNS name of the server, the new trusted certificate will be used and you won’t see the cert error any more.